Disney World is a massive vacation resort with many hotels, an astonishing number of restaurants, shopping and entertainment districts, and a wealth of other features to explore. Want more than these 10? 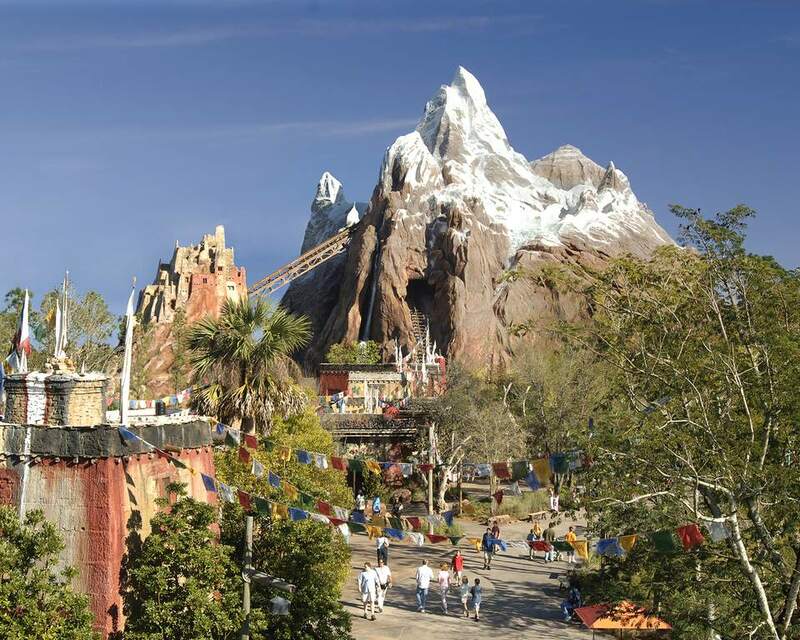 Consider the enchanting Animal Kingdom show, "Finding Nemo: The Musical," a ride aboard Kilimanjaro Safaris, and a refreshing serving of Dole Whip, the pineapple-flavored treat that is served at Aloha Isle in Adventureland at the Magic Kingdom and Capt. Cook's at Disney's Polynesian Resort. Many Disney World visitors chow down on the same nondescript fast food typically found at traditional amusement parks. And that's a shame. They are missing out on some fantastic restaurants in the Florida resort and an opportunity to make their vacations more memorable. Disney World's best table-service restaurants include both high-end and more moderately priced restaurants such as Jiko, The Cooking Place at the Animal Kingdom Lodge, and the Flying Fish Cafe at Disney's BoardWalk. Don't blow all your vacation dollars indulging in table-service restaurants, but that doesn't mean you have to settle for burgers and fries all the time either. The resort has some great counter-service restaurants, including Sunshine Seasons at Epcot and Flame Tree Barbecue at Disney’s Animal Kingdom. If you are looking for something sweet, Disney World has delectable snacks and desserts. After a few decades of yo-hoing, this ride is still one of the best in all of Disney World. Surprisingly, it was a ride before it inspired the wildly popular movie series featuring Johnny Depp. The Disney Imagineers then incorporated Depp's character, Captain Jack Sparrow, as well as other film references back into the ride. While you may associate Disney World with Cinderella Castle, Epcot's Spaceship Earth and the Tower of Terror, you'd be remiss to overlook the famous water parks! The level of detail at the Animal Kingdom is breathtaking. Marvel at the floating mountains, gawk at the bioluminescent plants, witness a Pandoran shaman on the tranquil Na'vi River Journey, board a banshee on Avatar Flight of Passage (one of Disney's best attractions), and more in this living ode to James Cameron's film series. Be aware, however, that since its opening in 2017, Pandora has been wildly popular. The standby wait times to board the two rides, especially Flight of Passage, often swell to two hours or more. To help avoid lines for these and other popular rides throughout Disney World, and to better manage your visit, you should learn how to make reservations and use My Disney Experience. If you can handle the thrills (which are pretty thrilling), no trip to Disney World would be complete without a visit to the classic The Twilight Zone-themed attraction. At its core, the Tower of Terror is a relatively basic drop tower ride, which is a staple at many amusement parks. However, the elaborate theme and effects take it to a whole different zone. The "Fourth Dimension” sequence, in which the elevator cars move horizontally, is freaky and especially wonderful. Do you love the Tower of Terror for its stomach-in-your-throat moments? The Florida resort does have some other thrill rides to get your pulse racing, like Summit Plummet, Expedition Everest, and Space Mountain. Here's a complete list of the most thrilling rides at Disney World. Thrills are great. But what about kids who aren't tall enough to tackle the Tower of Terror, and don't have the stomach for thrill rides? Fortunately, Disney World is loaded with wonderful rides that young children will adore, including Dumbo the Flying Elephant, Peter Pan’s Flight, and The Sea with Nemo & Friends. Like many things at Disney World, adults will love them too, because they bring out the child in you. Sure, you could save a few bucks by staying off the property. But you'd be robbing yourself of the full Disney World experience (as well as some nifty benefits, including complimentary ground transportation to and from the airport and exclusive ride time at the parks). Some of the best Disney World hotels include the Animal Kingdom Lodge, the Wilderness Lodge, and the Grand Floridian. You probably can't wait to visit the new Star Wars land coming to Disney's Hollywood Studios. But you're going to have to wait until 2019 for its grand opening. Until then, check out what's on the way. Part of the fun of being at Disney World is to explore the park and check out as many different sights and rides as you can. "Pirates of the Caribbean" frequently takes top billing as one of the best Walt Disney World rides, but others like the "Twilight Zone Tower of Terror" and "Mission: Space" are just as fun, often with smaller crowds.